Star Trek fan? 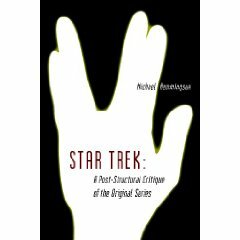 Michael Hemmingson’s latest book, Star Trek: A Post-structural Critique of the Original Series, is now out in print and e-book formats. It is the first published look at the new Star Trek movie as well. Order from Amazon.com or directly from the publisher, Borgo Press. Next PostAttention Dudes! Man Cave Mania -- Call for Content!